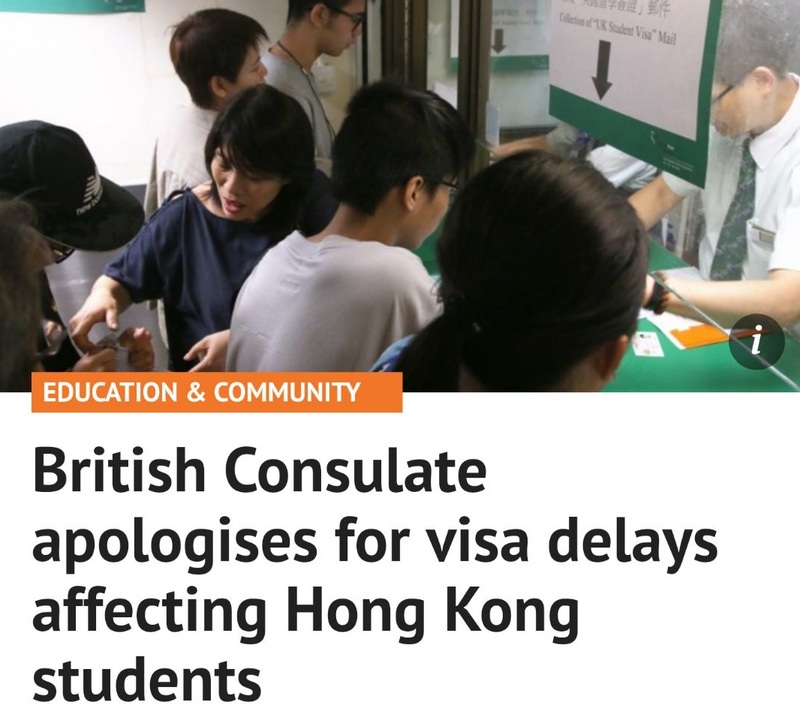 "HKIES had 30-40 cases of visa delays last Friday. These students needed to go to UK in mid-September, he said. The majority of the cases have been cleared, and Tang said the processing had been faster."